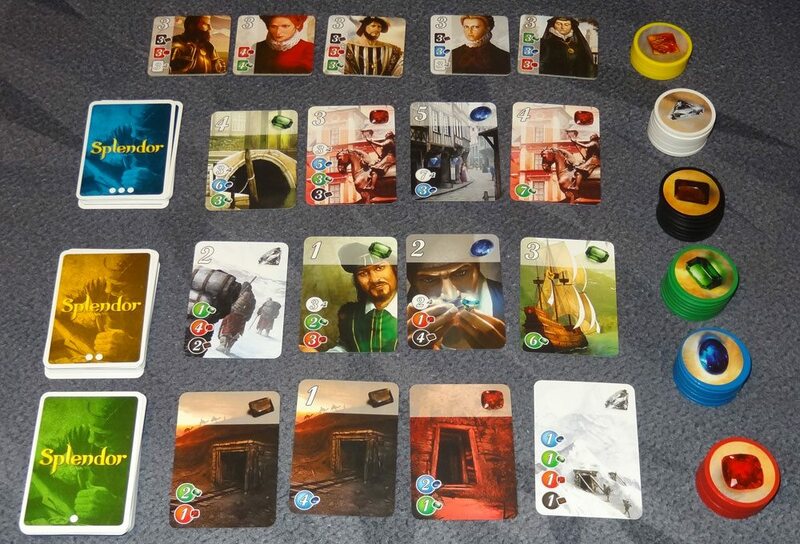 Today, I’ll talk about Splendor, a strategic boardgame wherein you collect gems and earn prestige points to win. This is pretty similar to chess but the difference is you earn points to win rather than trapping your opponent’s king. The game is very simple that explaining the mechanics only takes around 5 mins and approximately 30 mins to finish the game. I know the game may sound simple and “boring” at first but eventually you’ll get the hang of it. The more players, the more pressure it gets! This also requires a lot of thinking as you need to see how your opponents’ behave and what possible strategies to form in order to win. This game also won awards such as the best card game for Origins Game Fair 2015, 2014 Golden Geek Best Family Board Game Winner, and 11 more! Gems – The bread and butter of the game. Contains 40 pieces. Developments – Cards that gives your gem discounts and/or prestige points. Contains 90 pieces. 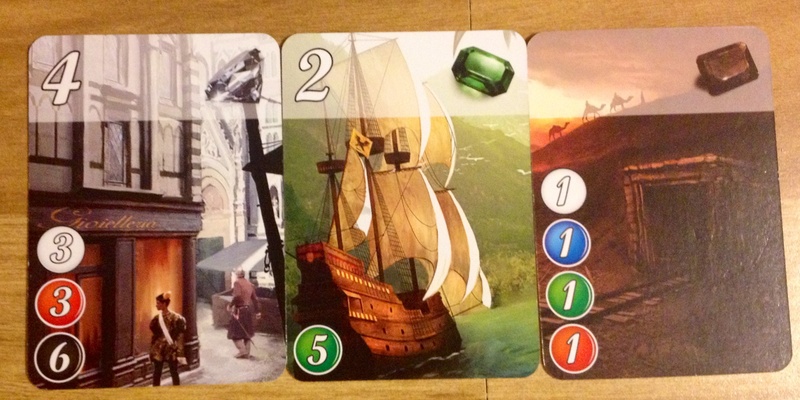 Nobles – Tiles that give you prestige points. Contains 10 pieces. Gather gems – Get 3 gems: Either 1 of each different or 2 of the same and one different but you can’t get a gold token. You can only have a maximum of 10 gems. Reserve a development – Maximum of 3 reservations and only done once per turn. When you do, get a gold token (Joker). Gold tokens are equivalent to any gem. If the Gold stocks ran out, you may still reserve but without getting a gold gem. Since there’s an empty space due to getting the card, you automatically replace it from the deck on the left. Buy a development/noble – Buy based on the certain amount of gems placed on the card/tile. Since there will be an empty space due to getting the card, you automatically replace it from the deck on the left. Note that you cannot replace nobles nor reserve them. 3.) Winning Condition – If you reach 15 prestige points, you win the game! What if we ran out of developments? – You still continue the game with limited cards. If you ran out, then the player with the most prestige points win. If a tie, the player with less developments win. What if we ran out of nobles? – You continue without replacing them. Once a noble has been purchased, you can’t replace it. Can you steal gems/developments/nobles from other players? – No you can’t. Once you availed a development/noble, its yours for good. Gems can’t be stolen too as the player who owns them can freely stock them ’till they earn their desired development/noble but note that you can only have a maximum of 10 gems. What’s the best strategy? Its up for you to find out as there are plenty of ways to formulate one. Have no playmate but interested to play? This game has a built-in app for iOS and Android too! Although, it’s not for free and costs $6.99. Ready to play? Lets go! Once you master the game, you can join splendor tournaments in your local gaming store. Surprised? 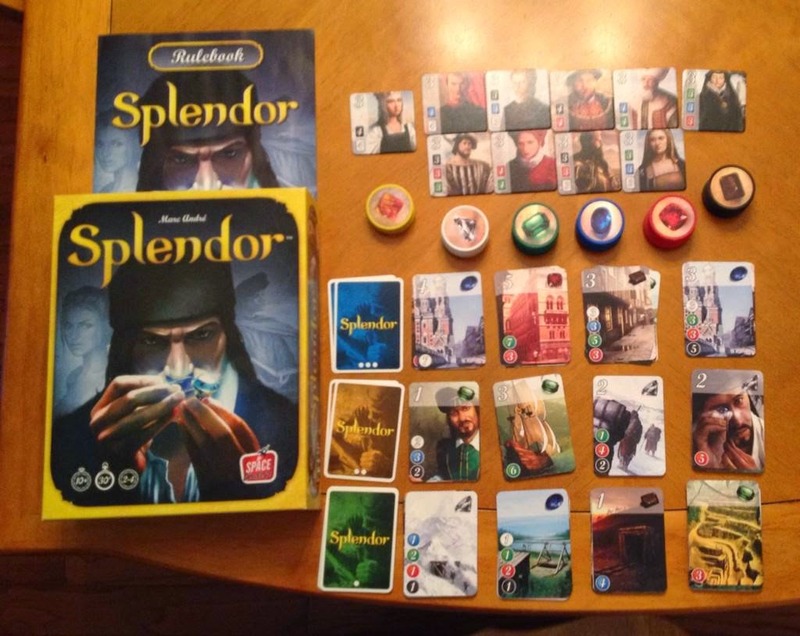 Yup there is a splendor tournament! That’s how popular and strategic this game is. Click this and this if you like to see a sneak peak of a tournament RSVP. Definitely worth the buy if you and your friends love to play casual games! The physical copy costs around roughly $40.